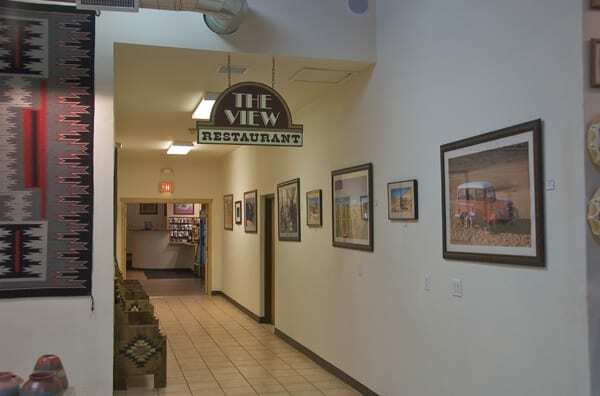 The Monument Valley Trading Post is unlike any other you have visited. 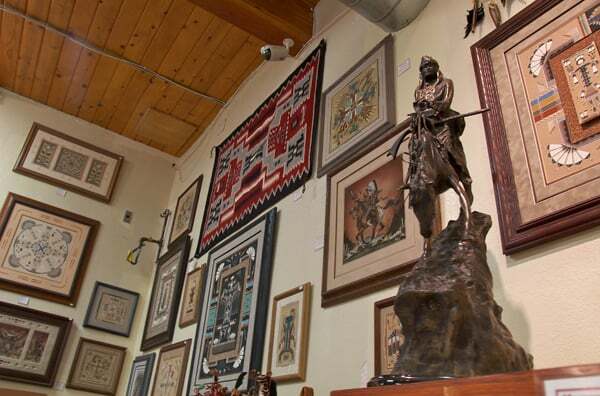 It offers a wide selection of contemporary and traditional American Indian Art, memorabilia of Monument Valley, and souvenirs of Hollywood movies shot on location within view of your guestroom. 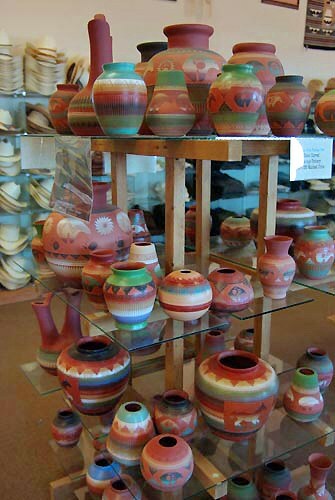 As handcrafted art, each piece is unique. 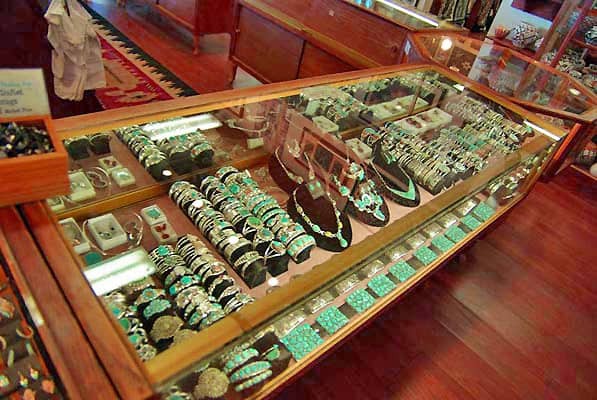 Pick from our wide array of traditional Navajo Jewlery that includes squash blossom necklaces, antique coin necklaces, concho belts, earthen pottery fired traditional fire pits, woven baskets, Navajo rugs, alabaster sculptures and much more. 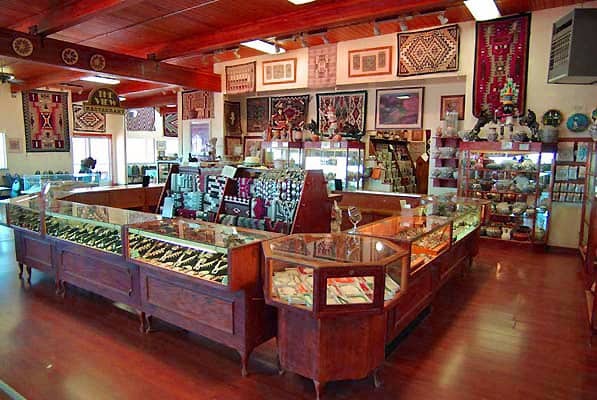 The Trading Post Navajo Rug selection is one of the largest rug collections within the Four Corners, purchased directly from the Navajo elder weavers who made them according to timeless traditions. 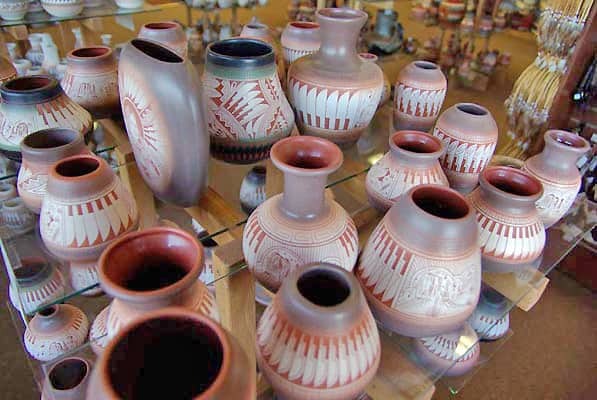 Some of the patterns to choose from are Wide Ruins, Storm, Two Grey Hills, Ganado Red, Teec Nos Pos and the ever popular Yei Be Chei. 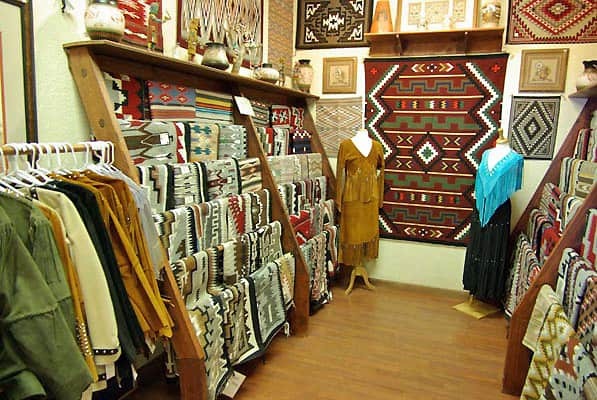 You maywant to select a rug using natural dyes made with yarn that was spun by hand or perhaps a more modern variation using complex designs and vibrant colors. 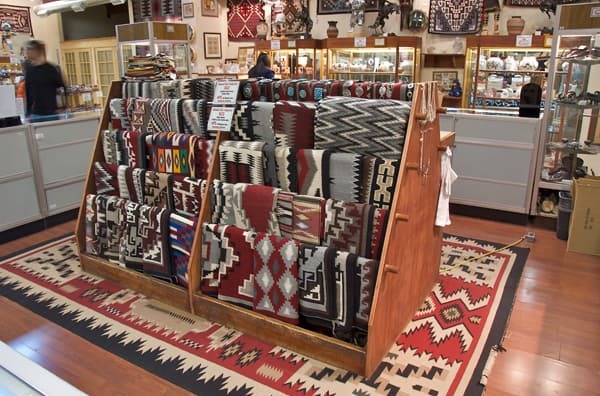 Whatever your choice may be, look for a line in the corner of any rug with a border that pays tribute to the Spider Woman, the deity that taught the Navajo to weave. 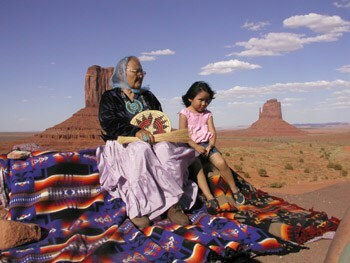 Any Navajo rug you choose will bring warmth and blessing to your home as the power of Spider Women exists in every Navajo Rug. 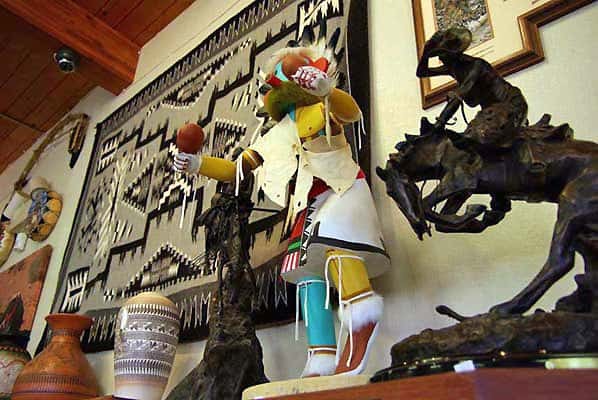 As you look at the complex designs within the rugs, realize that the weaver never measured or drew out the pattern, but only visualized the design before it began. 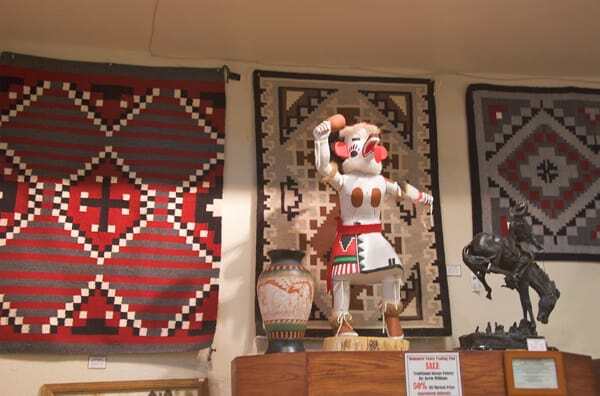 Each rug is so complex and consuming to the weaver that if a full border is part of the design, a spirit line is woven in the corner of the rug enabling the spirit of the weaver to escape the rug so that she can go on to create the next beautiful creation. 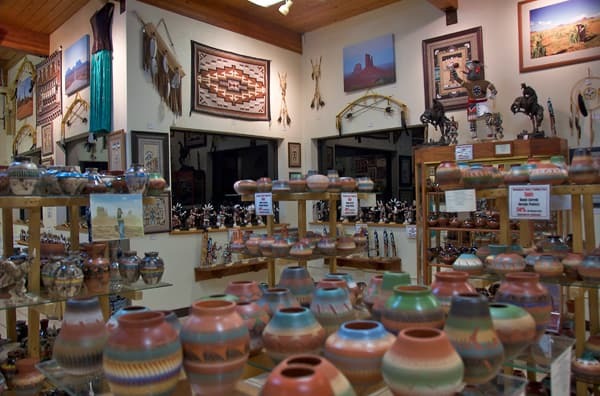 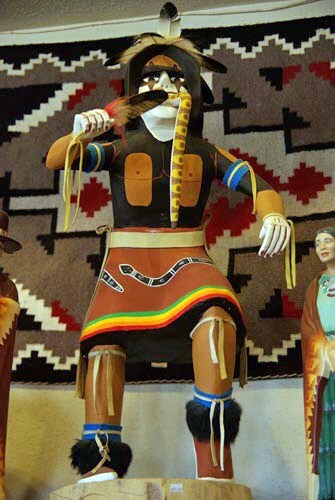 Throughout the Trading Post you will find Navajo sand paintings, pottery from Navajo and Pueblo artists, Kachina Dolls from Hopi and Navajo artists and many other souvenirs to remind you of this beautiful place. 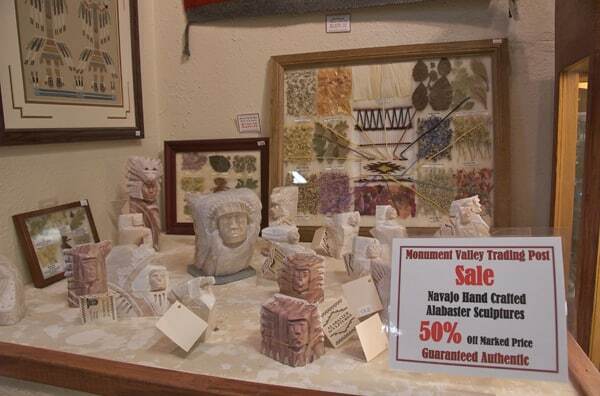 Our locally crafted arts and crafts carry our certificate of authenticity and a thirty (30) day satisfaction guarantee. 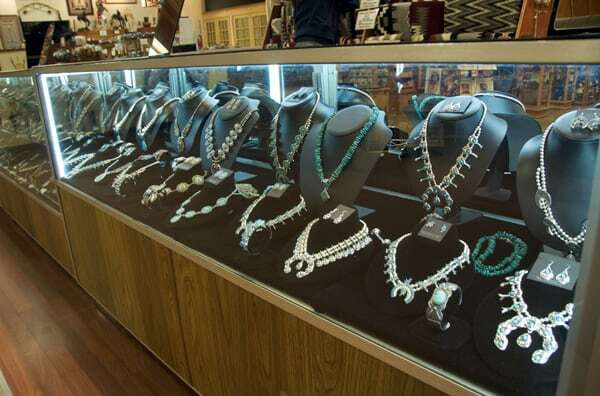 Items valued $150 or more receive a certificate of authenticity and lifetime warranty toward defects. 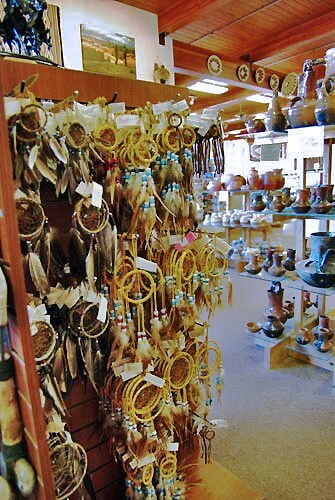 Not only are Indian arts and crafts purchases guaranteed by the Trading Post, but the local artisans take pride in each of their pieces that is sold. 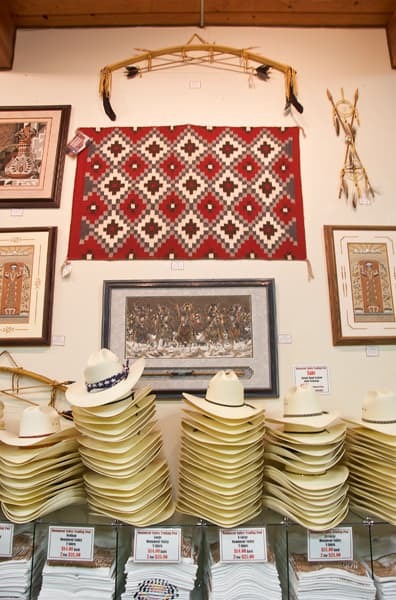 Shopping for souvenirs at the Trading Post is an adventure in fun and learning about the local arts that are intertwined with Native American culture. 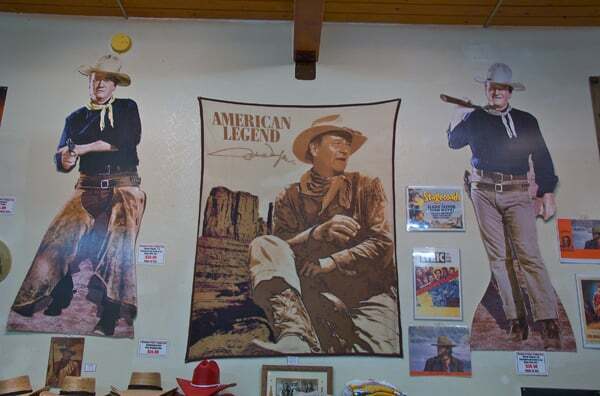 We also have the largest selection of John Wayne gift items anywhere in the Four Corners, Stetson hats, dresses, leather vests and nearly any memento from small to large make your visit to Monument Valley perfect. 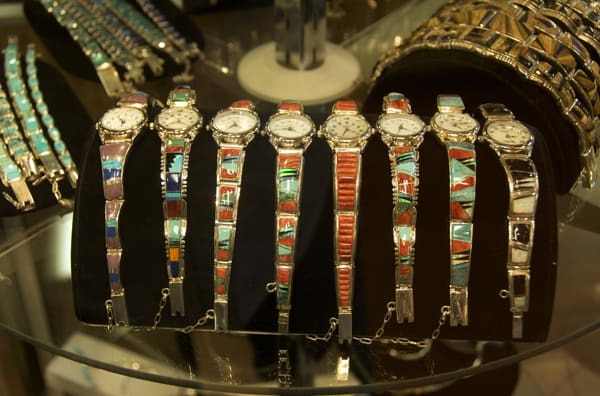 Take time to talk with our Navajo staff and locate the perfect gift for yourself or a loved one that you willl only find at the Monument Valley Trading Post.